Becky, Harry, and Leon are leaving London in a fourth-hand Ford with a suitcase full of stolen money, in a mess of tangled loyalties and impulses. But can they truly leave the city that's in their bones? Kate Tempest's novel reaches back through time--through tensely quiet dining rooms and crassly loud clubs--to the first time Becky and Harry meet. It sprawls through their lives and those they touch--of their families and friends and faces on the street--revealing intimacies and the moments that make them. And it captures the contemporary struggle of urban life, of young people seeking jobs or juggling jobs, harboring ambitions and making compromises. 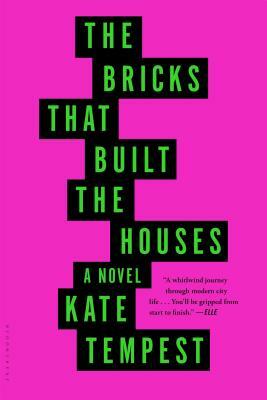 "The Bricks that Built the Houses" is an unexpected love story. It's about being young, but being part of something old. It's about how we become ourselves, and how we effect our futures. Rich in character and restless in perspective, driven by ethics and empathy, it asks--and seeks to answer--how best to live with and love one another.